EIGRP Configuration - CCNA Academy-a Free CCNA Tutorials. Study CCNA for free! 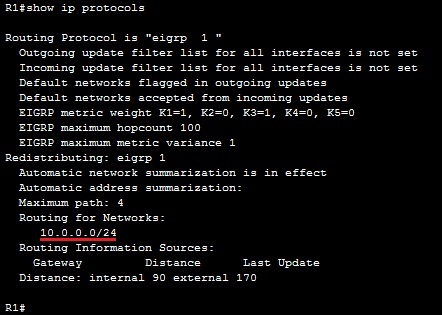 1-Enable Eigrp by command:Router eigrp ASN_Number(Number you want). 2-Advertise the Network you want with or without WildMask as You want. Ex:Network 10.0.0.0 0.0.0.255(optional Wildcard Mask). To Illustrate Eigrp Configration i will take Practical in Cisco Packet Tracer. By Default,he network command uses a classful network as the parameter. All interfaces inside that classful network will participate in the EIGRP process.To enable EIGRP only on specific interfaces, a wildcard mask can be used.